The Zenport H335 Grape Razor Fork is an ergonomic and safe vineyard tool for harvesting wine grapes and no more cutting yourself with vineyard harvest shears. The tool handle can be recycled and used over and over again with replacement safety cutting blade heads. 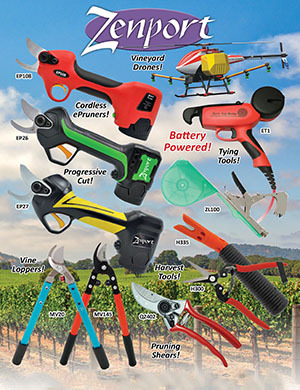 Not only can the vineyard safety cutting blade be replaced, but the angle of the safety cutting head can be adjusted as well. The improved head design to previous generation grape fork makes harvesting wine grapes in the vineyard a more reliable and comfortable experience.